Our experienced engineers will conduct service, mechanical and electrical repairs to most makes and models of Scooters, Powerchairs/Electric and Manual Wheelchairs, Riser Recliner Chairs, Electrically Adjustable Beds. See 'More details' below for example prices. 'Standard' and 'Comprehensive' Servicing is available following the guarantee period, plus emergency call outs if required for mechanical and electrical faults to most equipment products supplied. Both Standard and Comprehensive Servicing, Mechanical and electrical repairs call outs are available. 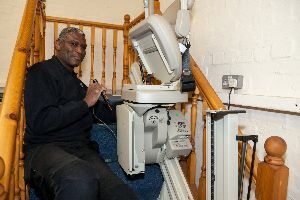 Servicing charges start from £15.00 for a`Standard ' service to a manual Wheelchair and from typically £55.00 on site for an electrically driven product (batteries tested for voltage drop only). 'Comprehensive' service, which is inclusive of all materials, all parts (see service agreement for any exceptions) and all labour during normal working hours is typically from around £145.00 per annum for a powered product. Please call for exact quotations. Emergency callouts and repairs are available to non operational Scooters, Powerchairs/Electric Wheelchairs and the like. Most callouts are charged from £30.00 per hour for labour and travelling time. Out of Normal Working Hours (Monday to Friday - 9.00am to 5.00pm) from £60.00 per hour (from £30.00 per hour for Comprehensive service customers) as at 01/01/2012. Full servicing charges are typically from £75.00 for a 'Standard' service, pick up from your home and return from our workshops for Scooters etc, (includes full battery discharging and report) or 'Comprehensive' service inclusive of all materials, all parts (see service agreement for exceptions) and all labour during normal working hours 9am to 5pm Monday to Friday except Bank and National Holidays.